Several MFF Alums Featured in Sundance 2015 Lineup! Marielle Heller, one of the recipients of our 2012 Maryland Filmmakers Fellowship, will present THE DIARY OF A TEENAGE GIRL / U.S.A. (Director and screenwriter: Marielle Heller) – Minnie Goetze is a 15-year-old aspiring comic-book artist, coming of age in the haze of the 1970s in San Francisco. Insatiably curious about the world around her, Minnie is a pretty typical teenage girl. Oh, except that she’s sleeping with her mother’s boyfriend. Cast: Bel Powley, Alexander Skarsgård, Christopher Meloni, Kristen Wiig. Andrew Bujalski, who directed MFF 2013’s COMPUTER CHESS, will present RESULTS / U.S.A. (Director and screenwriter: Andrew Bujalski) – Two mismatched personal trainers’ lives are upended by the actions of a new, wealthy client. Cast: Guy Pearce, Cobie Smulders, Kevin Corrigan, Giovanni Ribisi, Anthony Michael Hall, Brooklyn Decker. Long time MFF alum Kris Swanberg will present her new film UNEXPECTED / U.S.A. (Director: Kris Swanberg, Screenwriters: Kris Swanberg, Megan Mercier) – When Samantha Abbott begins her final semester teaching science at a Chicago high school, she faces some unexpected news: she’s pregnant. Soon after, Samantha learns that one of her favorite students, Jasmine, has landed in a similar situation. Unexpected follows the two women as they embark on an unlikely friendship. Cast: Cobie Smulders, Anders Holm, Gail Bean, Elizabeth McGovern. Craig Zobel, who directed MFF 2012’s COMPLIANCE, will present Z FOR ZACHARIAH / U.S.A. (Director: Craig Zobel, Screenwriter: Nissar Modi) – In a post-apocalyptic world, a young woman who believes she is the last human on Earth meets a dying scientist searching for survivors. Their relationship becomes tenuous when another survivor appears. As the two men compete for the woman’s affection, their primal urges begin to reveal their true nature. Cast: Chiwetel Ejiofor, Margot Robbie, Chris Pine. Bobcat Goldthwait, who directed MFF 2013’s WILLOW CREEK, MFF 2011’s GOD BLESS AMERICA and MFF 2007’s John Waters pick SLEEPING DOGS LIE, will present his documentary debut CALL ME LUCKY / U.S.A. (Director: Bobcat Goldthwait) – Barry Crimmins was a volatile but brilliant bar comic who became an honored peace activist and influential political satirist. Famous comedians and others build a picture of a man who underwent an incredible transformation. Daniel Junge, who co-directed MFF 2014’s FIGHT CHURCH, will be presenting his film BEING EVEL / U.S.A. (Director: Daniel Junge) – A candid portrait of American icon Robert “Evel” Knievel and his legacy. E. Chai Vasarhelyi, who directed MFF 2009’s YOUSSOU NDOUR: I BRING WHAT I LOVE will be presenting MERU / U.S.A. (Directors: Jimmy Chin, E. Chai Vasarhelyi) – Three elite mountain climbers sacrifice everything but their friendship as they attempt the never-before-completed Shark’s Fin on Mount Meru, the most coveted first ascent in the dangerous game of Himalayan big wall climbing. The Ross brothers (Bill Ross and Turner Ross), who directed MFF 2012’s TCHOUPITOULAS, will present WESTERN / U.S.A., Mexico (Directors: Bill Ross, Turner Ross) – For generations, all that distinguished Eagle Pass, Texas, from Piedras Negras, Mexico, was the Rio Grande. But when darkness descends upon these harmonious border towns, a cowboy and lawman face a new reality that threatens their way of life. Diego Ongaro, whose short BOB AND THE TREES screened within MFF 2012, will be presenting his feature BOB AND THE TREES / U.S.A., France (Director: Diego Ongaro) – Bob, a 50-year-old logger in rural Massachusetts with a soft spot for golf and gangsta rap, is struggling to make ends meet in a changed economy. When his beloved cow is wounded and a job goes awry, Bob begins to heed the instincts of his ever-darkening self. Cast: Bob Tarasuk, Matt Gallagher, Polly MacIntyre, Winthrop Barrett, Nathaniel Gregory. CHRISTMAS, AGAIN / U.S.A. (Director and screenwriter: Charles Poekel) – A heartbroken Christmas tree salesman returns to New York, hoping to put the past year behind him. He spends the season living in a trailer and working the night shift, until a mysterious woman and some colorful customers rescue him from self-destruction. Cast: Kentucker Audley, Hannah Gross, Jason Shelton, Oona Roche. Rick Alverson, who directed MFF 2012’s THE COMEDY, will present ENTERTAINMENT / U.S.A. (Director: Rick Alverson, Screenwriters: Rick Alverson, Gregg Turkington, Tim Heidecker) – En route to meeting with his estranged daughter, in an attempt to revive his dwindling career, a broken, aging comedian plays a string of dead-end shows in the Mojave Desert. Cast: Gregg Turkington, John C. Reilly, Tye Sheridan, Michael Cera, Amy Seimetz, Lotte Verbeek. 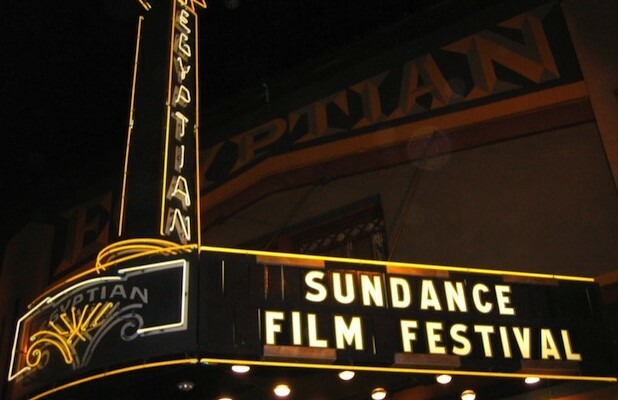 Click here for the complete list of released titles for Sundance 2015!